Every mineral processor is, or should be, aware that flotation efficiency is very much linked to the product from the upstream comminution circuit. Nevertheless it is common at large conferences, such as IMPCs and SMEs, for flotation and comminution sessions to run in parallel, such that there is little opportunity for specialists in these two areas to discuss comminution-flotation as a single entity. I am also aware, of course, that MEI's focussed comminution and flotation conferences, by attracting specialists in these two fields, do not encourage potential fruitful collaboration. This is something that we are trying to change by inviting specialists in comminution to present appropriate work at flotation and vice-versa. 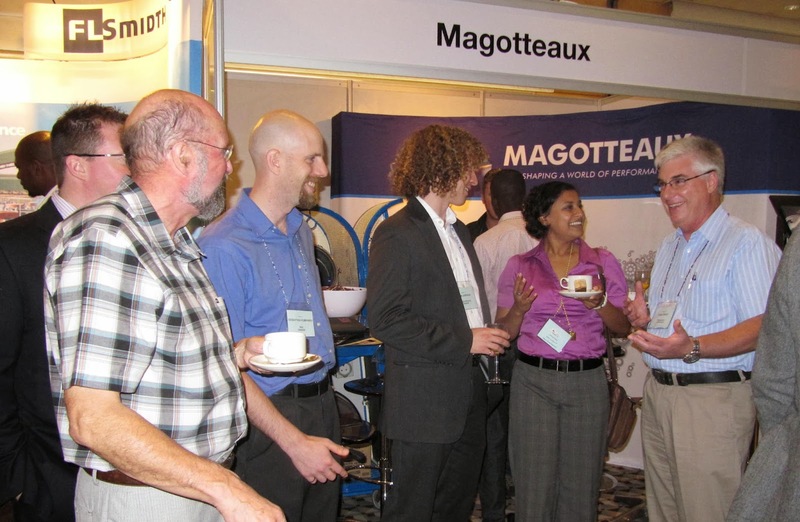 It is happening only slowly however, but one company that sets an example is Magotteaux, regular sponsors of MEI's comminution and flotation series. Dr. Chris Greet, Manager Metallurgy-Minerals Processing Research at Magotteaux Australia, has presented papers at most of the flotation conferences, and in recent years the comminution conferences, highlighting the intimate link between flotation and comminution, not only in regard to the size and liberation of particles, but also to pulp chemistry. So important is pulp chemistry that Magotteaux designed a laboratory mill which reproduces the pulp chemical conditions of the plant grinding mill in the laboratory. The Magotteaux Mill® allows the user to investigate the impact of grinding chemistry on their metallurgical process. The product generated in the laboratory has nominally the same physical properties (particle size distribution) and pulp chemical properties (Eh, pH, dissolved oxygen, oxygen demand and EDTA extractable iron) as an equivalent sample taken from the plant. This signifies a distinct advantage in testing as the results produced in the laboratory are more representative of those that would be observed in a plant. The UK company Grinding Solutions Ltd (GSL), regular sponsors of MEI's Comminution conferences, are also very aware of the link to flotation, and a couple of years ago took possession of the Magotteaux Mill in their rapidly expanding premises in Cornwall. They have found that the mill enhances significantly the ability to monitor chemical conditions during milling, which allows greater understanding, and improvement, of flotation performance response. Chris spent the day with GSL yesterday, a first and very brief visit to Cornwall, a welcome detour on his way from Dusseldorf to Johannesburg, and Barbara and I enjoyed a great meal with him, and Nick and Flee Wilshaw of GSL, in the most beautiful of settings overlooking Falmouth's Swanpool Beach. A great evening in the Cornish sunshine ... unusual but true. Great the have Chris in the lab with us for a couple of days, an excellent opportunity for our young Metallurgists to learn about pulp chemistry from the man most passionate in the art. I am personally very happy that we are looking at some of these single operations as interdependent;I must compliment that global companies you mentioned are motivating us to take a wholistic approach.I keep on telling in many forums that galena particle reports to underflow not only because of mineral characteristics and reagents but may be due to operating conditions like change pulp density and or change in feed rate to crushing plant. We have to drill these facts into young generation mineral engineers so that R&D becomes more useful for plant practices.